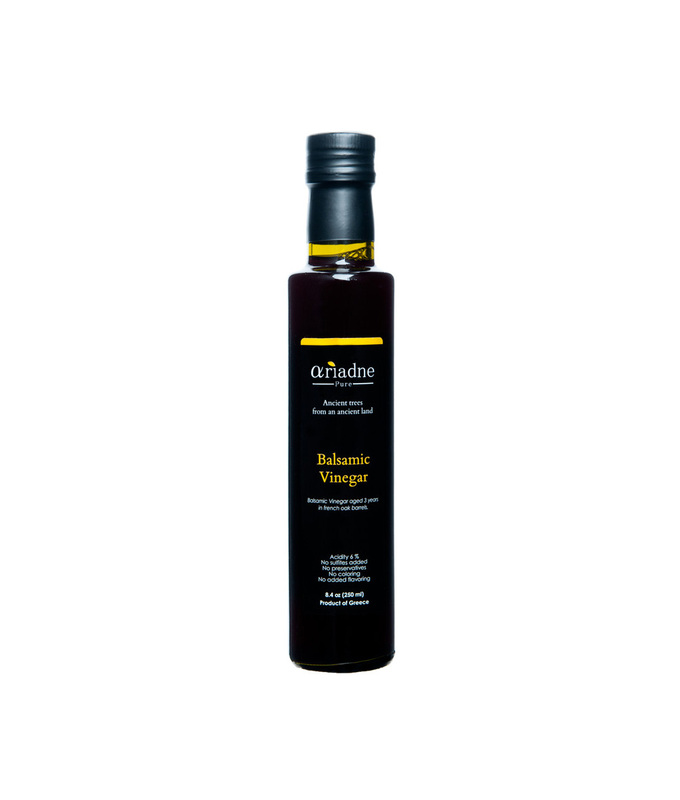 Ariadne Grape Balsamic vinegar is made only from 100% Nemea grapes aged 3 years in French oak barrels. 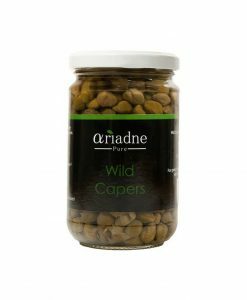 In order to make Ariadne Balsamic Vinegar we first hand pick Nemea grapes. After we have washed them, we add their unheated and unfiltered juice to the grapemust. We add no sugar or existing vinegar to speed up the process or to add flavor to this already sweet variety of grapes. Our Balsamic Vinegar is later barreled in french oak barrels for 3 years until they are ready to be bottled and ready for consumption. Ariadne Grape Balsamic is made only from grapes. 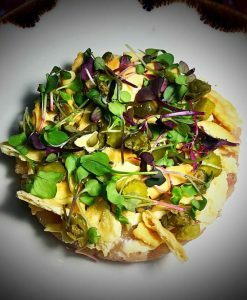 With an acidity of 6% and no additives, coloring, flavoring, sulfites or any other form of preservatives added we are certain you will enjoy this all natural product. 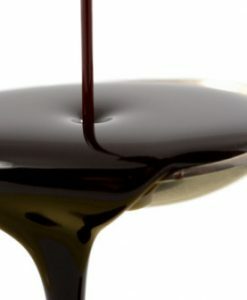 We do not use any cheaper types of vinegar to increase our production. Our unit makes sure that we use the best of our natural resources and never create any waste to harm the environment. Any pomace created from the whole process of vinegar making, is used as a natural compost to our estate or allocated to the local community. 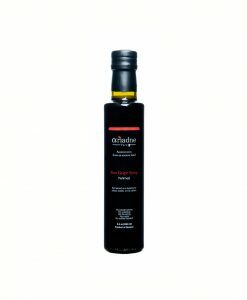 Ariadne Grape Balsamic vinegar has scents of vanilla and spices in a rich body with a strong and sweet aftertaste. 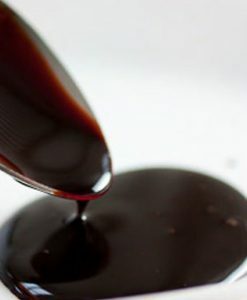 Really fruity balsamic vinegar, we use it on a daily basis. Great customer service too, definitely will order again.